Our weekly Tuesday night track sessions are a great introduction. In the summer months many of our runners look to hone their racing skills over the surprisingly tactical mile and 1500m distances. The mile distance is a key staple of the Club Championships. We hold this series of races every summer at Dulwich College Track in memory of Mark Hayes who was Club Mile champion back in the 1990s. Runners of all ability are encouraged to take part with runners allocated to a heat depending on recent mile, 5 km or Parkrun times. There is a presentation following the final race before an easy transfer to the Alleyns Head PH for drinks! The SOAR Mile is a popular fusion of running, cheering, drinking and music held every summer. Lanes 1-3 are for the runners and the fans and finished runners cheer on the next race from the side of the track with a beverage and a bite to eat in hand. As it is so good we have decided to include it in our 2019 club championships again! 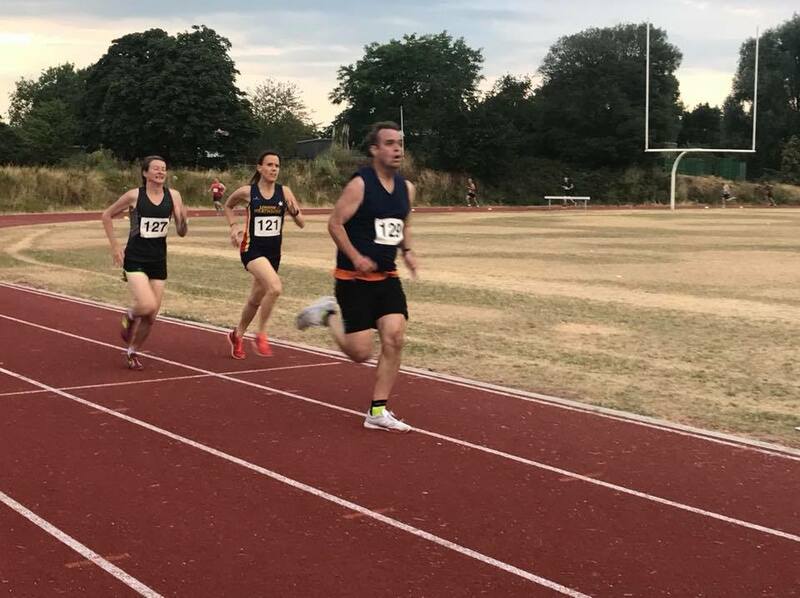 Many of the historic track based London clubs organise track and field meets from April to September open to members of all clubs and even unattached runners. These generally cater for all ages and abilities, with distances from 100m to 10000m and even the likes of hurdles and long jump if you fancy it! Competitive and easily accessible meetings include those hosted by Herne Hill Harriers (Tooting Bec Track), Blackheath & Bromley (Norman Park), Cambridge Harriers (Sutcliffe Park, Eltham), Highgate Harriers (Parliament Hill Fields, near Kentish Town) and Dartford Harriers (Central Park). Open events at Tooting are normally on a Bank Holiday Monday or Saturday, whereas those at Bromley, Eltham and Highgate are normally midweek. If you are unsure about track events then please speak to one of Steve Smythe, Mike Mann, Clare Elms, Ros Tabor, Tony Tuohy, Jonathan Whittaker or Wayne Lashley for more details. The Lee Valley facility in Edmonton, North London hosts a number of open events throughout the winter months on their excellent 200m track which is again open to all abilities and age groups. Typcially events are between 60m and 3000m in distance. Event days include 30 January 2019 (1 Mile and 3000m) and 20 February 2019 (800m and 1500m). Please click here for more details. If you are unsure about indoor track events then please speak to one of Clare Elms, Tony Tuohy or Wayne Lashley for more details. There are county championships to enter based on either where you live or where you were born. These include all age groups, specific masters and distance championships. These are normally held in May, June and August each year. Please click on the links for Surrey and Kent county events. 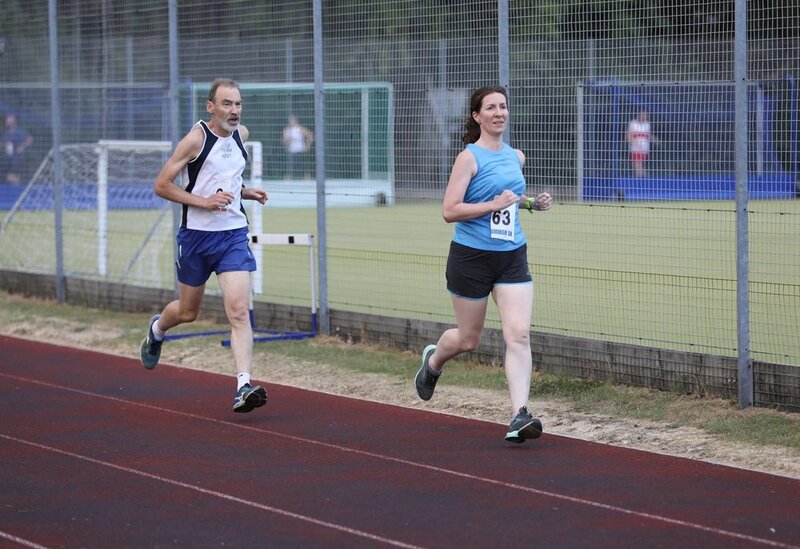 In 2018 Dulwich Runners achieved the Surrey 10000m double with Ed Chuck and Marta Miaskiewicz each winning gold!